We are delighted to be an appointed Roundhouse dealer. In our opinion, these are the best locomotives in their class, strong, well made and reliable. Locoworks is a dedicated locomotive business, we have an exclusive range of detailing items that can be added to your engine, either by yourself or us. In addition, our website carries an extensive range of extras from Roundhouse, convenientely available through our secure online shop, this means you can choose your engine, peruse the additional parts at your leisure, order anytime that is convenient for you. Free UK mainland delivery on all Roundhouse locomotives if shipped direct to the customer from the factory. All Roundhouse locomotives are supplied with full operating instructions, a special tool pack containing basic items needed for operation (steam oil, filling syringe, spare seals etc.) and are fully guaranteed against faulty parts or workmanship for two years. All classic range engines are now fitted with an exhaust enhancer as standard. For something really special, check out our new range of super detailed Roundhouse engines. 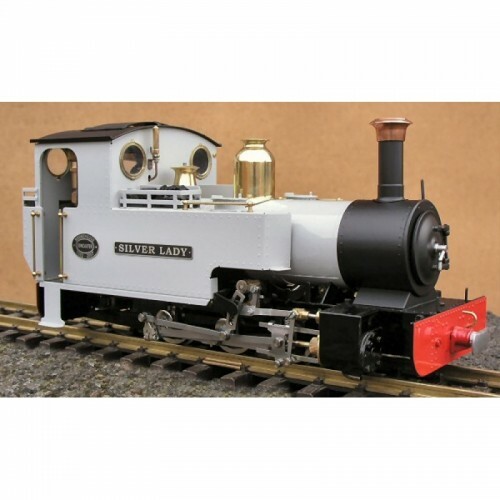 TO ORDER THIS LOCOMOTIVE CALL US ON 0191 4693796 ANYTIME. WE HAVE ONE RESERVED IN BATCH NUMBER ONE F.. Available TBA Call us now on 0191 4693796 and reserve yours. r/c £1799 Manual £..
Avaiable October 2018 Manual price £1858 R/C £2075 Call us o..
STOCK due SEPT 2019. Manual price is £1345, R/C £1585 Only 10% deposit is req..
Manual £1725 R/C £1895 Stock July 2020 Call us on 0191 4693796 .. Available April 2020 manual price £1625 R/C £1850 Please..
Stock available April 2019 manual £1345 Full R/C £1585 Call us on..
Roundhouse Live Steam Lady Anne. Available July 2020 Manual price is £1410, R/C £1595. Only a 10% de.. Available May 2020 Manual £1800 R/C £2020 Leek & Manifold The Leek.. Available March 2020. manual price is £1700, R/C £1915 Only 10% deposit..